Running Press Kids, 9780762459087, 336pp. 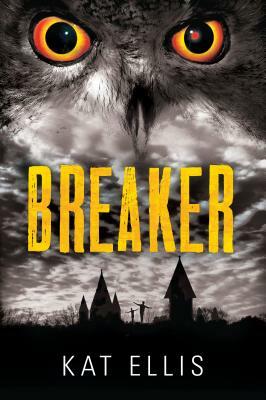 Kyle Henry has a new name, a new school, and a new lifeone without the shadow of the Bonebreaker hanging over him. It's been a year since his serial killer father's execution, and it finally looks like things are turning around for Kyle. Naomi Steadman is immediately intrigued by Killdeer Academy's newcomer. She does not know he is the son of the man who murdered her mother. What she does know is she and Kyle have a connection with each otherand a spark that Kyle continues to back away from. Kat Ellis is the author of Blackfin Sky, which was a Junior Library Guild selection and a 2015 YALSA Popular Paperbacks for Young Adults selection. She currently lives in Denbighshire, North Wales, with her husband and feral cat.